One of the traditions here at AM, Then FM, is the year-end tribute to those who have gone on. Another of our traditions is preserving small chapters of Wisconsin’s rock ‘n’ roll history. This is Teddy Mueller’s story. Four years ago, I came across his blog. Teddy was a guy from Milwaukee who lived the rock ‘n’ roll lifestyle for years. He played drums in a bunch of bands, starting when he was 14. He’s perhaps best known for playing in Axe in the late ’70s and early ’80s. He met a lot of people. He partied hard. Teddy was 17 when he joined Tongue, a blues-rock band much loved in Wisconsin in the late ’60s and early ’70s for its energetic live shows. I have Tongue’s only LP, which was released in 1969, before he joined the group. He mentioned Tongue in his blog, so I emailed him. We exchanged a few emails one summer day, and he filled me in. If Mueller sounded wistful, it’s because he was fighting for his life. Even then, in the summer of 2008, he had advanced cases of hepatitis C and cirrhosis of the liver. That’s Teddy Mueller on the left in the picture from 40 years ago. Teddy also reminisced about the Wisconsin club circuit of the early ’70s. That late August day was the only time Teddy and I talked about his place in Wisconsin music history. I’m glad we chatted when he did. I kept an eye on his blog, but it became painful to read. He was dying. Teddy passed away on June 29, 2012. He was 57. This video has the audio from both sides of a Tongue single from 1972. “Hotel Arbutus” is the A side and “Harp Thing” is the B side. It was recorded at Audiotech Studios in Minneapolis. The drummer is 17-year-old Teddy Mueller. The images, a bit of a video scrapbook, are from Teddy Mueller’s life and times. To learn more about Teddy’s life and times, read this tremendous 2010 interview with Glenn Milligan of Metalliville, a UK webzine. Teddy’s friends also have this Facebook tribute page. Teddy’s blog is no longer online. Looks like carrying the flag for Clicker, a beloved Wisconsin rock/pop/cover/glam/show band from the early ’70s, is starting to pay off. Our first post about Clicker, written almost three years ago, was for a long time the only thing that turned up when you googled the band. You’ll find all of our posts about Clicker on the Wisconsin bands page above. Best of all, at the end of those posts, you’ll find dozens of comments from fans and band members alike, all sharing warm memories of Clicker’s glory days. That, presumably, is the “fierce Wisconsin nostalgia for Clicker online” noted earlier this summer in a fine piece listing the top 25 pop albums of all time from Madison, Wisconsin. 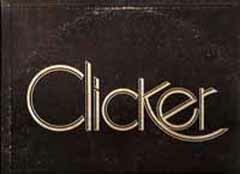 Somewhere between 1960s pop and 1970s prog, there was Clicker. The group’s spookily melodramatic song “Castle” described a vision of “a lady in a forest of green” who “lived in a castle like I had never seen.” Led by vocalist Mark Everist, the band included Richard Wiegel, now of the Midwesterners. There’s fierce Wisconsin nostalgia for Clicker online, and with songs like “Castle,” it’s easy to see why. Having lived in Madison for most of the ’80s, I was curious to see what made the list, and delighted to see “Clicker” at No. 15. Clicker is popping up elsewhere online, too. — There’s a MySpace page for Clicker. Its jukebox includes some tunes not on either of Clicker’s albums, including its beloved “Star Wars” cover. The page was put together by Shane Tracy, the son of Clicker drummer Jerry “Cubby” Tracy. — Two former members of Clicker — guitarist Richard Wiegel and singer Mark Everist — are on Facebook and have posted old photos and posters on their pages. It’s wonderful stuff. Richard occasionally comments on the Clicker posts here at AM, Then FM. He recently shared a note from his old bandmate Jerry Tracy, who made a solid case for putting both Clicker albums in Madison’s top 25 of all time. It’s in this post, down toward the bottom of the comments. Time now to listen to Clicker. Here’s the tune mentioned in Isthmus. “Castle,” Clicker, from “Clicker,” 1973. It’s out of print. Let’s do the Chicken Dance! You know da one. No? Well, let someone from Wisconsin show ya da way! Ya hear da horns, ya hear da accordion, ya bend over, ya start flapping your arms and legs … and, yah, well, it helps to have a few beers in ya. Here at AM, Then FM, we occasionally do our part to present (and thus preserve) small slices of our regional culture. That would explain all those Packers songs and last summer’s trip to the Pulaski Polka Days festival. Today we honor the memory of Bob Kames. He’s the Milwaukee organist and music store owner credited with taking a 1950s Swiss song called “Dance Little Bird” or “The Bird Dance” and popularizing it (and polka-izing it) in America as “The Chicken Dance.” He passed away Wednesday. He was 82. Growing up in central Wisconsin in the mid-’70s, you could not go to a wedding — particularly a Polish or German wedding — and not have polka music. 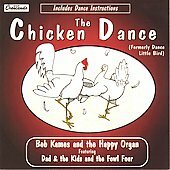 When you had polka music, you always heard, and did, the Chicken Dance. You learn it when you are young, and you do it forever. 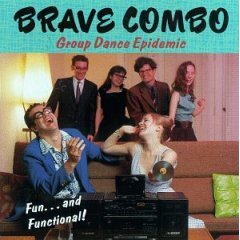 “The Chicken Dance,” Brave Combo, from “Group Dance Epidemic,” 1997. A must for any party. Here’s where you can find Bob Kames’ version, on a single and on a CD. The latter comes with dance instructions! But it’s not enough just to hear it. You must see it. The folks at this wedding clearly have not had enough to drink yet. Now watch Vince Neil of Motley Crue do the Chicken Dance. Classic.